Government and health officials met June 20-23 in Tegucigalpa, Honduras, to discuss the current global situation regarding the Zika virus and the current situation in the Americas. Participating were representatives from the Pan American Health Organization (PAHO), UNICEF, Universidad Nacional Autonoma de Honduras (UNAH), the World Health Organization (WHO), and the WFN. They met with government officials from Honduras, health care professionals, public health officials from other countries in Central America, South America, and the Caribbean, and dignitaries from the French government. Students, residents, and professors from the Medical Sciences of the National Autonomous University of Honduras attended the Zika meeting June 20-23 in Tegucigalpa, Honduras. Three members of the WFN Task Force on Zika (Dr. Tarun Dua from the WHO, Dr. Marco Medina from UNAH, and I) attended the meeting. The specific countries that were represented at the meeting were Costa Rica, the Dominican Republic, El Salvador, Guatemala, Honduras, Nicaragua, and Paraguay. A large part of the meeting was devoted to developing proactive programs and the dissemination of measures for the care and support of people and families affected by complications associated with the Zika virus. Speakers and the other participants re-emphasized that the major complications of the Zika virus infection are the congenital Zika virus syndrome and Guillain-Barre syndrome. However, it was noted that other neurological complications, such as meningoencephalitis, myelitis, and sensory polyneuropathies, have also been reported. Although the Zika virus does not appear to be spreading as aggressively as in previous years, the virus is still infecting large population segments in the affected regions. The WHO estimates that nearly 100 million people, and more than 1 million pregnant women in the Americas, could be infected, suggesting that tens of thousands of children may have the congenital Zika virus syndrome. (From left) French Ambassador Dr. Pierre Christian, Dr. John England, Julio Raudales, and Marco Medina during the Zika meeting. As more cases of the Zika virus infection emerge, there is a great need to strengthen health systems to enhance surveillance and to provide improved care and programs in the affected countries. The Honduran government, in association with the Institut Francais, PAHO, UNAH, UNICEF, the WHO, and the WFN, has stepped to the forefront of these efforts to institute pilot programs to help patients and families. Health care representatives from other Central American countries also are interested in joining these efforts. The WHO help is central to the success of these efforts. Much work has already been done by the WHO to provide the information and tools that are necessary to provide a systems approach to fulfill these goals. A major part of the meeting in Honduras centered on discussions about the WHO Toolkit for the care and support of people affected by complications associated with the Zika virus. The toolkit serves as a blueprint to enhance country and health care systems’ preparedness for Zika virus outbreaks and its complications. The WHO Toolkit consists of three manuals, each with several modules. There are separate manuals for public health planners and managers, health care professionals, and community workers. All participants agreed that the general principles outlined in the toolkit would help in developing comprehensive care and psychosocial support mechanisms for people affected by the Zika virus. There also was recognition and consensus that the toolkit would have to be adapted to fit the unique national and regional needs and context prior to formal implementation. Participants pledged to plan future meetings and collaboration with health ministers and government officials from their respective countries and regions with the goal of instituting as many of the recommendations as possible. All participants recognize that governmental and health care system commitments and financial support are necessary to ensure the success of these efforts. There also is hope that providing the resources and infrastructure for patients affected by the complications of the Zika virus will serve as a model for providing care and support of patients affected by other diseases in these countries and regions. All of the participating organizations, including the WFN, pledged continuing support of these important goals in global health. Only by working together will there be success in these areas of public health. John D. England, MD, is the chair of the WFN Task Force on Zika. He also is editor-in-chief of the Journal of the Neurological Sciences. We are very pleased to introduce the July/August 2017 issue of World Neurology, and just ahead of the World Congress of Neurology. Fittingly, WFN President Prof. Raad Shakir opens this issue with his column highlighting the importance of world congresses, and an invitation to readers to attend the World Congress of Neurology to be held September 16-21, 2017, in Kyoto Japan. Among the many diverse contributions in this issue, Prof. Ahmed Abdelalim provides his announcement of the new stroke unit at Cairo University, and Prof. Peter Wolf and Prof. Alla B. Guekht describe the 25-year history of Russian-German Neurologic Collaboration. Professors Chandrashekhar Meshram and Gagandeep Singh report on the successful International Tropical Neurology Conference that was held in Mumbai, India, in March. Prof. John D. England, chair of the WFN Task Force on Zika, reports on the meeting held in in Tegucigalpa, Honduras, in June to discuss in general the current situation on Zika virus. Professor Wolfgang Grisold reports on the 13th Congress of the Peripheral Nerve Society that took place in Sitges, Spain, July 8-13, 2017. Prof. William Howlett, Prof. Marieke Dekker, and Prof. Sarah Urasa report on the Practical Neurology course recently held in Moshi, Tanzania. This issue also features reports from WFN Junior Travelling Fellowship awardees from Nigeria and Cairo, as well as report from the recent recipient of the WFN-Turkish Neurological Society Department Visit Program. Prof. Struhal also provides his heartfelt obituary on Franz Gerstenbrand, an icon of Austrian neurology. Finally, and importantly, this issue includes the statements from the candidates for WFN President (Prof. William M. Carroll and Prof. Wolfgang Grisold) and WFN First Vice-President (Prof. Ryuji Kaji and Prof. Renato J. Verdugo), for all WFN delegates to review prior to voting at the Council of Delegates meeting in Kyoto. We look forward to seeing many of you in Kyoto in September! The World Federation of Neurology (WFN) has been a vital and integral part of my life for 18 years. I attended my first Council of Delegates meeting in 1999 to present the Australian bid to host the 2005 World Congress of Neurology, which was decided at the London WCN in 2001. From that time, my admiration, respect, and enthusiasm for the WFN has grown. The development and achievements of the WFN have been outstanding and made possible by the selfless contributions of all involved in the WFN so that the achievements of the WFN, accomplished with limited resources, have engendered a deep respect for our organization. The WFN is an organization with relatively limited financial resources, yet its mission is broad and seemingly endless. Its annual spending on operating costs, infrastructure, and personnel comprises almost half of its average annual income. Its permanent staff number is only 2.5 FTE, but it is ably assisted by the 140 members of its 15 committees. With member societies, the regional organizations, and the quality of successive administrations, the WFN is forging a role as a global advocate and neurology educator. The recent formation of the African Academy of Neurology and its first conference in Tunis this year, and the development of four regional training centers in Africa, two each for the francophone and anglophone regions, are testaments to WFN’s strength of commitment to this role, as is the successful biennial World Congresses of Neurology. Such achievements also bring the essential benefit of enhanced visibility of the WFN within its membership and among agencies that assist the WFN. I regard my two terms as an elected trustee, my term as first vice president, and serving as chair of the Membership, Fundraising, and Congress committees, as well as convener of the Global Neurology Network to have been a privilege and an opportunity to contribute to the team. Why do I seek the office of president? The reasons are many, but they distill to four principle and complementary reasons. First, I believe in what the WFN does and that I have the skills, experience, commitment, and understanding of the needs of the WFN to continue to grow the educational programs, such as those established in Africa and elsewhere. I also believe that I possess the vision for the direction for the WFN in the next four years and beyond. Second, underlying the WFN’s mission is the recognition of the inequality that exists in the development and delivery of neurological care and education. To further tackle these systematically and successfully, the WFN requires an order of priorities. I propose to continue to target the inequity of access to neurological care, expertise, and education by encouraging member societies and their regional organizations to assist in the preparation of an inventory of “most urgent inequalities.” It is likely that some will be common and amenable to a general formulated plan of assistance while others will be specific to a country or region and demand a more individual approach. We must develop a plan, and we should do it together. Third, and in parallel with developing an inventory of and the plans and programs to tackle inequalities, I will be exploring the opportunities for the WFN and its member organizations to expand their association with both our two largest regional neurology organizations, the AAN and the EAN, and with global government, non-government, and regional intergovernmental organizations. These might include the European Union, the Gulf Cooperation Council, the Asia-Pacific Economic Cooperation, the Pan American Health Organization, the World Federation of Medical Education, and the WHO, to mention some. The approach would be to develop cooperative strategies similar to the Africa initiative and the way the WFN has interacted with the WHO via the World Brain Alliance and the Global Neurology Network. It would likely require the establishment of a task force drawn from within the WFN and, where necessary, from professional expertise outside the WFN. We would seek out potential partners, evaluate the opportunities offered by each, match them to the needs inventory, and prepare an approach for those selected. Lastly, it has been an honor to have been involved with the WFN up to now and to have been nominated for president by the Australian and New Zealand Association of Neurologists and supported by the Japanese Society of Neurologists. Please see below a list of positions held and papers written for the WFN supporting my candidature. The Chilean Society of Neurology and the Panamerican Federation of Neurological Societies have honored me with a candidacy for the position of first vice president of the World Federation of Neurology (WFN). Although Latin Americans have actively participated in the WFN since its foundation, we have never had the opportunity to serve in a senior position within the federation. During the last presidencies of the WFN, there has been a successful effort to expand WFN activities in regions such as Africa, Central Asia, parts of Eastern Europe, and Southeast Asia. As part of this initiative, the Panamerican Federation of Neurological Societies was finally launched, after years of hard work. I had the opportunity to participate in the creation of this federation, acting as its first vice president during the entire process of formation and registration. In this context of global expansion of the WFN, it would be important to ensure fair representation of the different active regions in its directive by incorporating a representative from Latin America. For more than 10 years, I have been involved in the activities of the WFN, initially organizing the Panamerican Congresses of Neurology, then as a representative of Chile, and finally as president of the World Congress of Neurology in Santiago in 2015 and the launch of the Panamerican Federation of Neurological Societies, in 2016 and 2017. In these activities, I have always worked on a team with different members of the WFN, whose invaluable advice and support have always been fundamental for the success of these enterprises. The position of vice president is a key part of this teamwork, as he or she needs to interact with the president and different members of the board, as well as the representatives of different regions and countries. He or she also must act as supervisor and collaborator of the organization of the World Congress of Neurology every other year, among other concrete tasks. After almost four years in a fellowship on peripheral nerve disorders in the United States, and later visiting different academic centers in Latin America, I have had the opportunity to know the reality of neurology in developed and developing countries; this is essential to serve in a global federation that must be effective in supporting the development of neurology throughout the whole world. As a member of the editorial board of the Neuromuscular Cochrane review group and member at large of the International Federation of Clinical Neurophysiology, I have had the opportunity to work with professionals coming from different latitudes and backgrounds, establishing permanent and fruitful links among them. The integration of neurologists from all over the world requires a strengthening of the digital media made available by the WFN, making wise use of the multiple opportunities provided by the internet and social networks. To increase the attractiveness of the WFN to young neurologists, it is important to develop channels of timely information through our website and the creation of Twitter and Facebook accounts, as well as a YouTube channel. These are sources of information widely used by younger generations; our federation could take advantage of them to reach a wider audience. Furthermore, it is necessary to create a special group for horizon scanning on this topic, to keep the WFN always updated on the use of new and always growing technologies. Social networks are also a valuable tool to reach patients and the general public that may benefit from proper information and orientation in neurology and related disciplines. Ethical issues are of growing concern in the medical sciences in general, and in neurology in particular. The WFN must be a reference on this subject, taking advantage of the numerous experts who come together in its different activities and may produce orientations and consensus in this field. It is also important to continue to strengthen the interaction of the WFN with other scientific and medical societies in related fields, such as the continued collaboration with the WHO, which would allow us to channel our expertise and experience in the different topics that are important for the worldwide development of neurology. As a nominee by the Japanese Society of Neurology, I would like to stand for the office of the first vice president at the election. I graduated from Kyoto University in 1979 and pursued a specialty training in neurology. After completing a PhD course in Kyoto, I moved to Philadelphia in 1984 as a clinical fellow at the University of Pennsylvania, where I became interested in clinical neurophysiology. In the U.S., I met Dr. Jun Kimura, then professor of neurology in Iowa, and we returned to our alma mater together in 1989. Working in his department, I first reported the use of IVIg for multifocal motor neuropathy in 1992, and introduced the use of botulinum toxin for dystonia, which initiated my career in movement disorders. In 2000, I left Kyoto to chair the newly established Department of Neurology in Tokushima. Thanks to my talented colleagues, I have stayed active in my academic career, publishing more than 500 papers in reputable journals such as Annals of Neurology, Brain, Nature, and New England Journal of Medicine. Our group has discovered two new genes, OPTN and TFG, causing ALS, and another, TAF1, responsible for dystonia. In 2000-2006, I served as an executive member of the International Federation of Clinical Neurophysiology (IFCN). I planned and led an expert meeting to establish a set of diagnostic features for ALS, now known as the IFCN Awaji criteria. I also served as a member of the international executive committee of the Movement Disorder Society (MDS). the most successful regional meetings under the auspices of the WFN. My current effort concerns the scientific programs of the WCN2017 Kyoto, as one of the co-chairs of the Teaching Course Committee. Working as chair of Asia Initiative, I have realized that, like Asia, many developing regions of the world are exploding in population, and the accelerated aging will bring neurological disorders such as stroke and Alzheimer’s disease to the forefront. We need to increase awareness of stroke prevention worldwide and to provide the survivors a means to regain their functional independence. Through my activities in WFN, I have learned how to coordinate meetings and sessions with other international organizations—to achieve common goals of providing educational opportunities for young neurologists. Having served for IFCN and MDS, I feel myself capable of pursuing this interdisciplinary approach of synergy in promoting the cause of WFN. A Filipino neurologist, who trained with us in Tokushima, drew our attention to Lubag disease, an endemic dystonia-parkinsonism, or XDP, in her hometown. We collaborated with local neurologists to describe specific pathological findings and to identify its causative gene, which should help find a cure for those patients. Through this experience, I believe that the same approach of communication, collaboration, and compromise should work well in other parts of the world: All of the efforts must respect developing regions and their neurologists as equal partners. Many young neurologists from developing countries still find it difficult to attend global meetings such as AAN or EAN. I would like to work to make all regional meetings equally as attractive for young neurologists, particularly as it relates to education. This principle of autonomy, in turn, should strengthen the value of the WFN, especially in the rapidly growing areas such as Arab-Africa and Latin America. If I am elected first vice president, I will work with all my might to assist the new president to fulfill the mission of the WFN. I could also advise the president how to incorporate the successful Asian experience more globally to the other regions of the world. I wish to take this opportunity to thank many national societies, which have already endorsed my nomination as first vice president, and hope that others will also be able to support my candidacy. Together, we can improve patient care through education of neurologists regardless of their place of practice. My name is Prof. Dr. Wolfgang Grisold, and I am a neurologist working in Vienna, Austria. After serving as the secretary general for the past four years and also the treasurer of the WFN from 2013 to 2015, I would like to stand for election for president of the WFN. My motivation to do so involves two concerns. On the one hand, I want to ensure continuity of successful projects and cooperations. On the other hand, based on the conversations I have had with neurologists all over the world, I see the need to improve and further develop the infrastructure to support and empower neurologists on regional and global levels. Before outlining my agenda as the president of the WFN, let me provide a few notes about myself. My focus is on general neurology, neuro-oncology, neuromuscular disease, palliative care, and education. In these fields, I have contributed to over 200 peer-reviewed articles, and I have published five books. I participated in two EU projects. I have always been interested in education-related work. I have been part of several education committees, and I chaired the development of the “European board examination” and the WFN teaching course committee. I am also involved in European CME accreditation. I held several positions in national and international societies, such as EFNS, UEMS, EANO, ECCO, ACOE, and WFN. I organized a number of international congresses, such as EFNS 2002 and EANO 2006, and co-organized WCN 2013. Presently, I am involved in the organization of the international congress on neuromuscular disease, in 2018 in Vienna. My activities at the WFN began in 2004 as a member of the education committee, which I presently co-chair with Steven Lewis, MD. I have been a WFN trustee since 2009, and I was elected the secretary general and treasurer in Vienna in 2013. After these positions were separated in 2015, I stayed in the role of the secretary general. In this position, I have been involved in operational and administrative tasks on the micro and macro levels. This provided me with deep and valuable insights into the administrative structures and the widespread network of the WFN. At the same time, I had the opportunity to shape, plan, and realize a variety of projects of the WFN. The policy to reach out, the empowerment of regions, and the efforts toward cooperation with international organizations have always been in the center of these efforts. The WFN has been steadily increasing its influence, and I believe that the two most crucial factors for this development have been continuity of reliable structures and projects, and, furthermore, excellent collaboration of trustees and committees across regions, global networks, research groups, and, importantly, large political bodies, such as the WHO. Education on all levels will be an important goal. I will continue the present efforts, such as the Junior Traveling Fellowships, grants, joint courses with other societies such as the EAN, and Continuum with the AAN. The WFN has successfully implemented Department Visits and Training Centers. The three Teaching Centers in Africa and one in Mexico were important steps, which will increasingly need more support for trainees. I believe that the Teaching Center concept will need to spread to Asia. The establishment of WFN educational standards of training and assessment will be helpful in countries with a developing neurological society. The focus will continue to be placed on educational activities for countries in need. Communication is one of the most important tasks in global societies. The website and social media have greatly improved and will continue to be the backbone of the WFN communication. 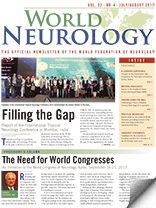 The existing publications, such as the JNS, eNS and, the newsletter World Neurology will continue to play an important role in communicating the WFN’s aims, messages, and achievements. Another good example of successful communication is World Brain Day, which is an excellent yearly presentation of neurology worldwide. Furthermore, I will support the development of new tools, such as a globally accessible e-learning platform for neurologists. To ensure the continuation of administration, I find it important to collaborate with experienced persons from the present and past administrations to help with advice and action. As a concrete step, I suggest to modify the present change of administration by nominating a president-elect in advance and keeping the past president for another year. I believe that this step is crucial to maintain continuation in such a large and globally involved organization as the WFN. Furthermore, I will aim to have organizational advisers who have experience with charity work, and I also plan to implement a patient’s voice in the WFN leadership. One important activity of the WFN is the biennial WCN congress, which rotates from region to region. This mission is aimed to foster and support the African, South American, and Asian regions, and support the presence and activities of neurology in regions in need. I am committed to this principle of rotation so that different regions will benefit from the WCN congresses. Of course, besides these points, there are a number of other aspects that will play an important role. The WFN must engage in patient-related issues such as patient advocacy, long-term, and palliative care. I will make these tasks a future mission. Furthermore, in order to realize projects and ensure a smooth administration, the WFN will require financial resources. Thus, there might be the need for new strategic cooperations and alliances. To summarize, as a president of the WFN, I would like to continue successful projects and cooperations. At the same time, I would encourage new developments and cooperations with member societies and neurologists all around the world, where I will place special attention on communication, education, and partnership. In doing so, I will emphasize strategic project management and empowering leadership across the network of the WFN. This, in turn, would be grounded in transparency and a multidisciplinary and multiprofessional approach. I am confident that the insights I gained at the WFN will provide strong grounds for succeeding in my mission. I would be grateful for your support. In August 2015, the African Academy of Neurology (AfAN) was formed in Dakar, Senegal, and became the final regional member of the World Federation of Neurology (WFN). This membership is proving to be an important stimulus to neurology education and training in Africa. 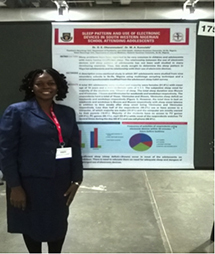 A subsequent meeting of AfAN and regional members of the WFN, which took place at the World Congress of Neurology in November 2015 in Santiago, Chile, adopted a resolution to promote the training of 200 neurologists in Africa within the following 10 years. Since then, in order to achieve this goal, a number of initiatives have taken place in Africa. One such initiative involves the East African Development Bank (EADB), an organization that currently includes four countries: Kenya, Rwanda, Tanzania, and Uganda. It involves funding a Medical Training and Fellowship (METAF) program, which is designed to support the neglected fields of neurology and oncology in East Africa. The neurology program includes support for one- to two-year training fellowships in the U.K. for African neurology trainees and support for local training in neurology within East Africa. Group photo of course trainees, lecturers, and organizers. The METAF program is planned in collaboration with local organizing partners and involves teaching hospitals and universities in East Africa and the Royal College of Physicians London (RCP) supported by representatives from the Association of British Neurologists (ABN) and managed by the British Council. Postgraduate doctors either training in internal medicine or pediatrics, or those recently graduated, are their target audience. The aim is to increase knowledge and awareness of neurology in Africa and to promote training in neurology, ranging from primary care to specialist neurologists. The first series of these courses took place in September 2016 in Nairobi, Kenya, and Kampala, Uganda. A total of 34 trainees participated. The third course took place April 3-7 in Moshi in Northern Tanzania. It was attended by 20 trainees. The venue in Moshi was a local hotel with conference facilities. The theme of the Moshi course was “Practical Neurology,” with a comprehensive but practical review of the main neurological disorders experienced in Africa occurring in all ages. It also included a hands-on neurological examination. The course started and finished with a short pre- and post-training assessment. The covered topics ranged from infections— including HIV—to epilepsy, stroke, paraplegia, neuropathy, movement disorders, dementia, head injury, cerebral palsy, and genetic diseases. Interspersed between formal lectures were teaching video sessions and case presentations by the participants. The course highlighted some important aspects for future neurology training in Africa. First, it is a practical example of a global AfAN/WFN initiative, which is funded from within Africa, supporting sustainability in the longer term. Second, it has resulted in North/South collaboration with neurologists/lecturers from within Africa and the U.K. coming together for the first time, all with the aim of teaching and training neurology in Africa. Third, the importance of participatory teaching methodology was underlined by the shared interest and excitement shown by the trainees, in particular with their case presentations and group discussions. Trainee using an Arclight ophthalmoscope in the workplace. An example of instant success was the provision of an affordable, handy, lightweight, easily rechargeable Arclight Ophthalmoscope free to everyone in the course, including teachers. This was introduced by David Nicholl, ABN honorary secretary. The candidates in the course were instructed on how to use the Arclight. 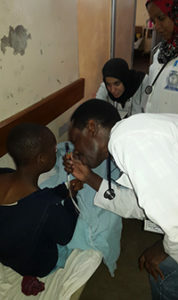 The effect was palpably electric as they started to learn a practical skill and realized they could carry out funduscopic examinations upon returning to their workplaces across Tanzania. The course is just one of a number of ongoing initiatives aimed at developing neurology training in Africa. In the past five years, the Eastern African region has seen some significant developments, with adult and pediatric neurologists from the East African Community (EAC) countries of Burundi, Kenya, Rwanda, Tanzania, and Uganda joining forces professionally. The aim is to facilitate specialist neurology training for EAC doctors within Africa to make the region less dependent on external training facilities. This was supported by grants-in-aid from the WFN. Tanzania has a population of 53 million and only seven practicing neurologists, and has huge unmet needs in neurology. One author (Dr. Howlett) has worked at Kilimanjaro Christian Medical Center (KCMC) in Northern Tanzania for over 30 years. He has experienced the start of neurology teaching/training of assistant medical officers followed by undergraduates, later postgraduates, and the training of one specialist in neurology. The same changes are happening all over Africa today. The historical post-colonial gap in neurology teaching/training and skills in Africa is well known; this neurology teaching course is another small step toward closing that gap. The authors are with the Kilimanjaro Christian Medical Center. The term eponym is derived from the Greek words epi- “sur” and onima “name.” It is hardly possible to imagine daily life without eponyms, although we are not always aware of using them. Just think of diesel engine, pasteurized milk, degrees Fahrenheit or Celsius, to name a few. Eponyms are found in nearly all sciences, including mathematics, astronomy, physics, chemistry, geography, paleontology, and botany (to mention a few: Pythagoras, Gödel, Fourier analysis, Avogadro). The use of eponyms is not new. Carl Linnaeus (1707-1778) used them in botany. Other eponyms became verbs (galvanize, faradize) or units (watt, ampère, ohm, joule). The French “préfet” (prefect) of the Seine department Eugène-René Poubelle made the use of garbage cans obligatory, hence the French word “poubelle” for garbage can. Medical eponyms are derived from various sources. They are not only named after the discoverer of a disease or microbe who is honored (Borrelia Burgdorferi, Pick disease, Alzheimer’s). Sources also include mythical figures (Ondine’s curse, Oedipus complex), fairy tales (Alice-in-Wonderland syndrome), literature (Pickwick syndrome, Ophelia complex), artists (Brueghel syndrome), location (Lyme disease, Glasgow coma scale), and famous patients (Lou Gehrig). An important source for finding the meaning of medical eponyms is www.whonamedit.com. 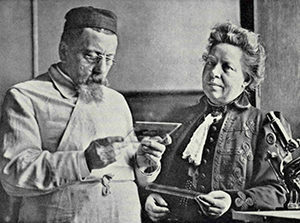 The author, the Norwegian Ole Daniel Enersen, had the ambition to “present a complete survey of all medical phenomena named for a person,” with a short biography of that person. The use of eponyms is not generally accepted. There are adversaries and advocates. London neurologist William Gowers (1845-1915) wrote that “this system of nomenclature is full of inconvenience, increasing the difficulties of the student, and leading to frequent mistakes in scientific writings,” but he could not prohibit the use of his name in several eponyms4. The mania to associate eponyms to reflexes and phenomena was particularly endemic in Europe. Wartenberg was in favor of descriptive terms. However, descriptive terms also have disadvantages, for instance, when the understanding of phenomena or diseases change. 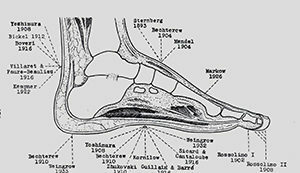 Interestingly, he could not prevent the usage of his name for eponyms (e.g., Wartenberg sign for pyramidal involvement of the upper extremity). Many eponyms concern men. Even if the name refers to a woman, not everyone will realize this. In April 2017, Dr. Stephen Reich, current chair of the History Section of the American Academy of Neurology, organized a history course in which eight eponymous women in neurology were presented. In the following section, I will summarize them. The Mary Walker effect is a curious observation presented in 1938 during a meeting of the Royal Society of Medicine.25 In myasthenic ptosis, the drooping of the eyelid can be reversed by prostigmin. When the effect of the prostigmin is wearing off, circulation in the arms is cut off by inflation of cuffs (to 200 mm Hg). Exercise of the forearms in this situation does not increase the ptosis. However, 1.5 minutes after the release of the cuffs, the ptosis increases and 2 minutes after the release general muscle weakness increases. Mary Walker believed that myasthenic muscles released a curarizing agent during activity, which passed into the bloodstream and blocked neuromuscular transmission elsewhere. Although her speculative idea was not correct, it stimulated the search for a circulating factor. She was the first to clearly demonstrate that strength temporarily improved in patients with myasthenia gravis when they were given physostigmine or neostigmine and published on this in 1934.26 The pertinent film clip may be found at www.youtube.com/watch?v=uRoRsmvkhTI. Peter J. Koehler is based in Heerlen, Netherlands. More history is provided at his website at www.neurohistory.nl. This paper is based upon the Introduction of the 2008 AAN History Course “Eponyms in Neurology” (by PJK) and the 2017 AAN History Course “Eponymous Women in Neurology”. Kondziella D, Zeidman LA. What’s in a Name? Neurological Eponyms of the Nazi Era. Front Neurol Neurosci. 2016;38:184-200. Stigler SM. Stigler’s law of eponymy. In: Gieryn TF, ed. Science and social structure: a festschrift for Robert K. Merton. New York, NY Academy of Sciences, 1980. Rowland LP (ed). Merritt’s Neurology (11th ed.). Philadelphia, Lippincott, Williams & Wilkins, 2005. Dejerine-Klumpke A.. Contribution à l’étude des paralysies radiculaires du plexus brachial. Paralysies radiculaires totales. Paralysies radiculaires inférieures. De la participation des filets sympathiques oculo-pupillaires dans ces paralysies. Revue de Médecine 1885, 5: 591-616, 739-90. Roussy G, Lévy G. Sept cas d’une maladie familiale particulière: troubles de la marche, pieds bots, et aréfléxie tendineuse généralisée, avec, accessoirement, légère maladresse des mains. Rev Neurol (Paris). 1926;33:427-50. Dix MR, Hallpike CS. The pathology, symptomatology and diagnosis of certain common disorders of the vestibular system. Proc Soc Med 1952;45:341-354. Dix MR, Hallpike CS. The pathology, symptomatology and diagnosis of certain common disorders of the vestibular system. Ann Otol Rhinol Laryngol 1952;61:987-1016. Canavan M. Schilder’s encephalitis perioxalis diffusa. 1931. Hurler, G. Über einen Typ multipler Abartungen, vorwiegend am Skelettsystem. Zeitschrift für Kinderheilkunde. Berlin. 1919;24: 220–234. Kinderheilkunde und physische Erziehung, Berlin, 1920;92: 420. Hunter CA. A rare disease in two brothers. Proceedings of the Royal Society of Medicine, London, 1917, volume 10, Section Dis. Children, 104-116. Frey L. Le syndrome du nerf auriculo-temporal Rev Neurol (Paris) 1923;2:92-104. Walker MB. Myasthenia gravis: a case in which fatigue of the forearm muscles could induce paralysis of extra-ocular muscles. Proc R Soc Med 1938;31:722. Wael Ibrahim presented his poster, “ Epilepsy and Cranial Nerve Affection in a Patient With Wilson’s Disease and Intracranial Developmental Venous Anomaly,” at the 21st International Congress of Parkinson’s Disease and Movement Disorders meeting. The 21st International Congress of Parkinson’s Disease and Movement Disorders was held June 4-8 in Vancouver, BC, Canada. The congress was organized by the International Parkinson and Movement Disorder Society. The purpose of the International Parkinson and Movement Disorder Society is promotion of research and education on Parkinson’s Disease and Movement Disorders, to improve the care for patients who have Parkinson’s Disease and other Movement Disorders, and to facilitate the dissemination of information regarding movement disorders. Skills and teaching courses held during the congress were an excellent opportunity to share and exchange scientific ideas and improve our education and experience. It is always great to attend the lectures and discussions on ongoing research projects, hear lectures on the most interesting topics, and provide an opportunity for networking. It was an honor to present the results of my case report as a poster presentation, “Epilepsy and Cranial Nerve Affection in a Patient With Wilson’s Disease and Intracranial Developmental Venous Anomaly: A Case Report.” To our pleasure, we received several interesting questions and remarks from colleagues and field experts about the study design and data interpretation. 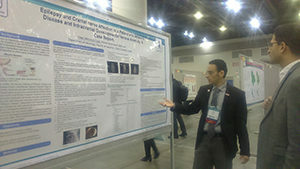 Overall, attendance at the congress was successful and helpful for my future development as a clinician and researcher. Attendance at the Congress was kindly supported by the WFN. I want to express my gratitude and happiness for this great opportunity. Great thanks and best wishes to all members of WFN. I am delighted to present my report on Sleep 2017. I had the privilege of attending this meeting through the sponsorship provided by the WFN as a recipient of a Junior Traveling Fellowship Award. 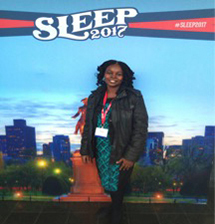 Oluwatosin Olorunmoteni at Sleep 2017 in Boston, Massachusetts. Sleep 2017 was the 31st annual meeting of the Associated Professional Sleep Societies, LLC (APSS) comprising the Sleep Research Society (SRS) and the American Academy of Sleep Medicine. Although I developed interest in pediatric sleep medicine during the course of my training in pediatric neurology, I have not been able to take formal training in sleep medicine or attend a conference on sleep. I am exceedingly grateful to the WFN for making this dream come true. Sleep 2017 was held June 3-7 at the Hynes Convention Center in Boston, Massachusetts. It was an educational and impactful experience for me. On Saturday, June 3, I attended a half-day postgraduate course on EEG Essentials for the Sleep Practitioner. Following that, I had the privilege of participating in the SRS Leadership Workshop. 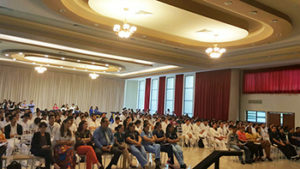 The educational programs organized by SRS continued on Sunday, June 4, with the Trainee Symposia Series. These two trainee development programs by the SRS were my best sessions at the meeting as I had the privilege of meeting and learning from leaders in the field of sleep medicine. I also had opportunities of networking with colleagues. Oluwatosin Olorunmoteni presented her abstract. I presented my abstract on Monday, June 5. More than 1,200 abstracts were presented at Sleep 2017. The abstract presentation afforded me the opportunity to meet specialists and colleagues in sleep medicine working on similar research areas. I also met a number of Nigerians in the diaspora. They suggested many ideas that can improve my future research. I also discussed the need for a sleep lab in my institution with many of them, and they offered useful suggestions on the way forward. Sleep 2017 had many educational opportunities, which were highly beneficial especially for young professionals like me. There was never a dull moment as I attended sessions that included Invited Lectures, Conversation with Experts, Symposia, and Oral and Poster Presentations. I learned a lot from the pediatric sleep sessions, where discussions on actigraphy, pediatric narcolepsy, school start times, and parasomnias were discussed. A major benefit of attending Sleep 2017 for me was the opportunity to visit the Boston Children’s Hospital where I saw the sleep lab. It further increased my quest to intensify efforts to get a functional sleep lab in my institution. Despite the rainfalls, I was able to visit downtown Boston during the week. I also joined SRS trainees for a time out at the kickball game on Saturday. I left Boston on Wednesday, June 7. I felt excited and fulfilled because Sleep 2017 was my best conference ever! I am grateful to the WFN for giving me this opportunity. Oluwatosin Olorunmoteni is from Obafemi Awolowo University in ILE-IFE, Nigeria.